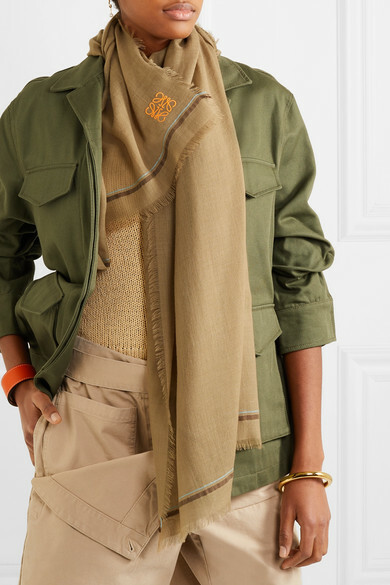 Loewe's beige scarf will complement this season's neutral palette perfectly. 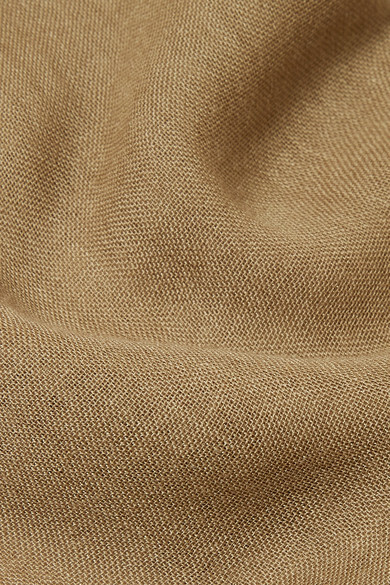 Woven from a sumptuous blend of cashmere and cotton at the label's Italian atelier, this lightweight style is simply detailed with light-blue and brown stripes, and wispy frayed edges. Loop it around your neck, ensuring the embroidered 'Anagram' logo is in full view.